May 4th - Hello from Dallas / Fort Worth! A few rooms were setting up and playing yesterday, but the big day is today. Sonnie and I met up and visited three rooms last night, and we will be going full tilt today! Later in the evening yesterday, we met up with Dennis (tesseract) and then went out to dinner with several of the people showing equipment this weekend - what a great way to start the show. Start looking for posts / impressions later tonight! Please use the LSAF 2013 Discussion / Comments thread for questions and comments. 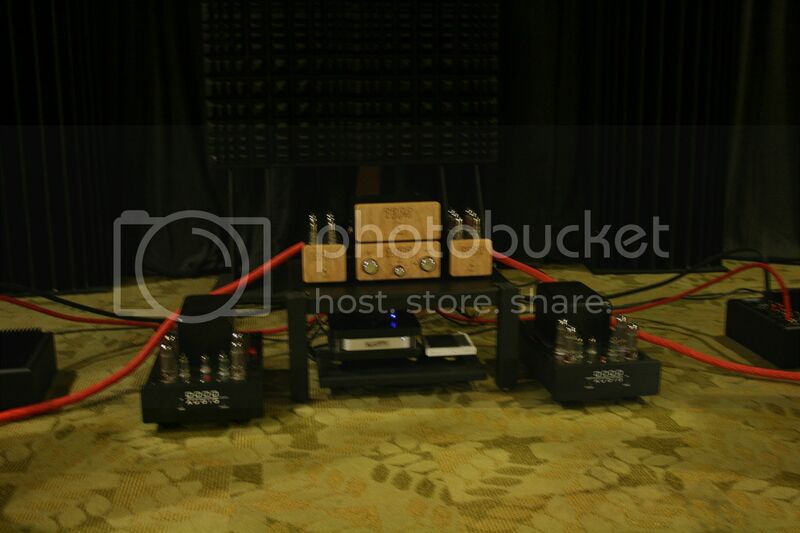 What a great time - Sonnie, Dennis (tesseract), and I got a chance to hear some really fantastic setups. I will be posting impressions of individual rooms throught the next few days. 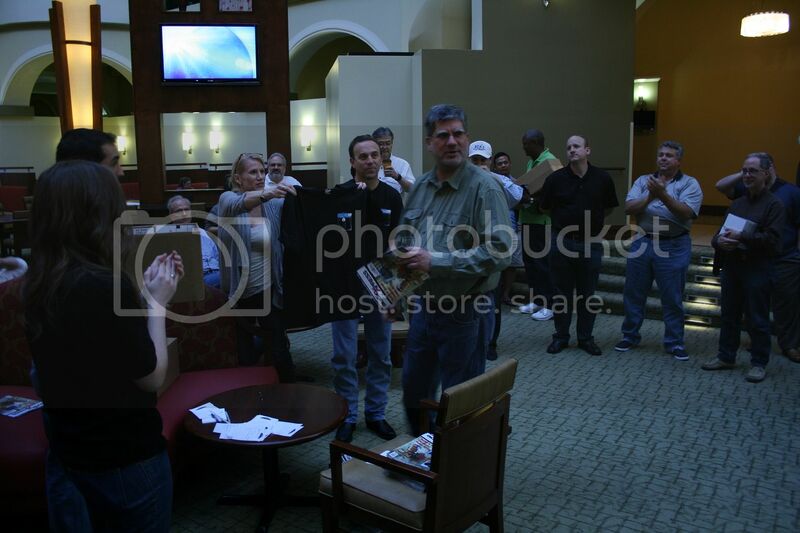 They held a raffle and gave away some great prizes - a few pictures of the winners! There was not one setup that I did not enjoy - each one had something that really drew you in. The room makes a huge difference in how a speaker sounds - one of the speakers I had heard just the prior weekend in a different room and the sound was vastly different. LSAF is a great show. I had a chance to spend some real time talking with many of the exhibitors. It has a real laid back feel to it - just like a bunch of enthusiasts getting together to listen to music. 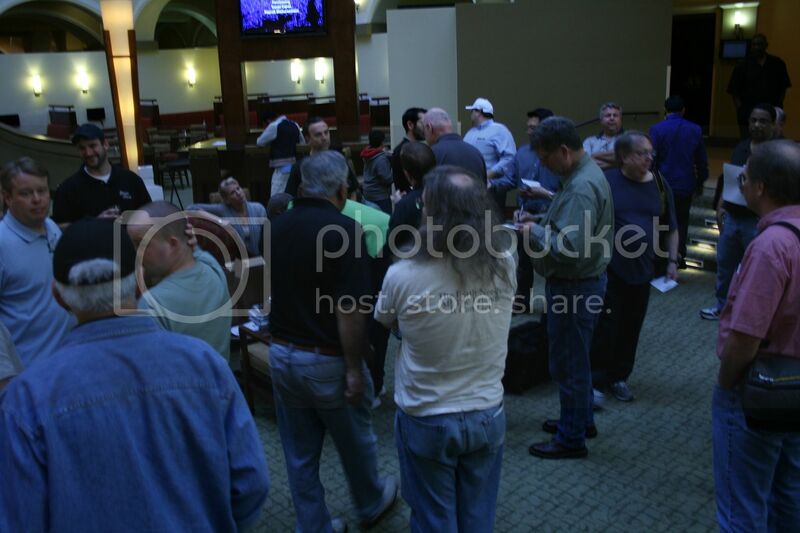 Friday night, we got together with a bunch of exhibitors and went out for dinner - it was so much fun just sitting and getting to know people outside of the show. 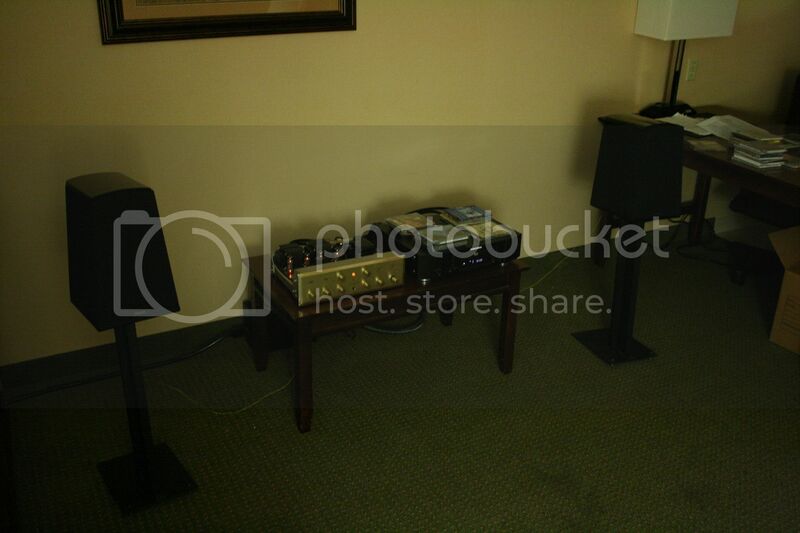 The first room I visited was the GR Research and Dodd Audio room. GR Research is a Texas-based company that began in 1995. The Serenity Acoustics Super-7 is a speaker designed by Danny Richie from GR Research and manufactured by Serenity Acoustics who is beginning production of a new line of speakers that will use their patented planar magnetic drivers and servo-controlled woofers. The Super-7s each have four planar magnetic midrange panels and one planar magnetic tweeter in a open-baffle design and two 12" servo-controlled woofers. They have a stated sensitivity of 96db which makes it very easy to drive them with a tube amplifier as you only need to drive the planars. 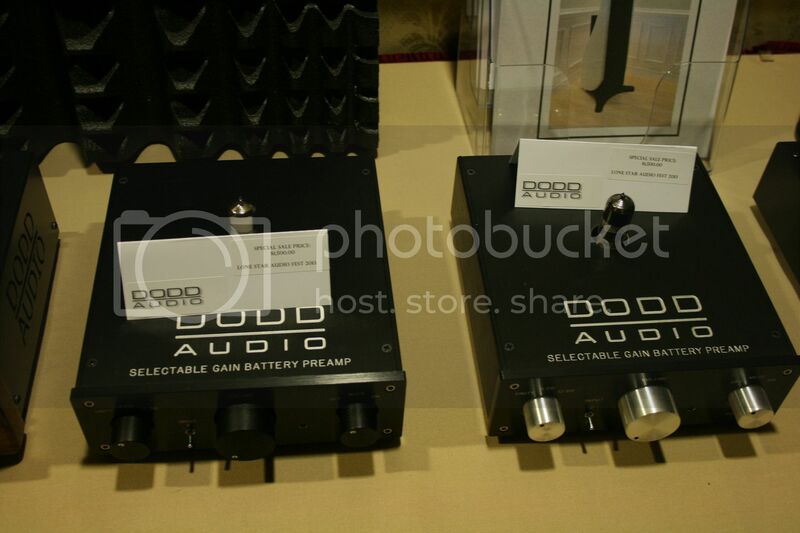 Dodd Audio is also a Texas-based company that produces many different amps and pre-amps including some which are battery powered. 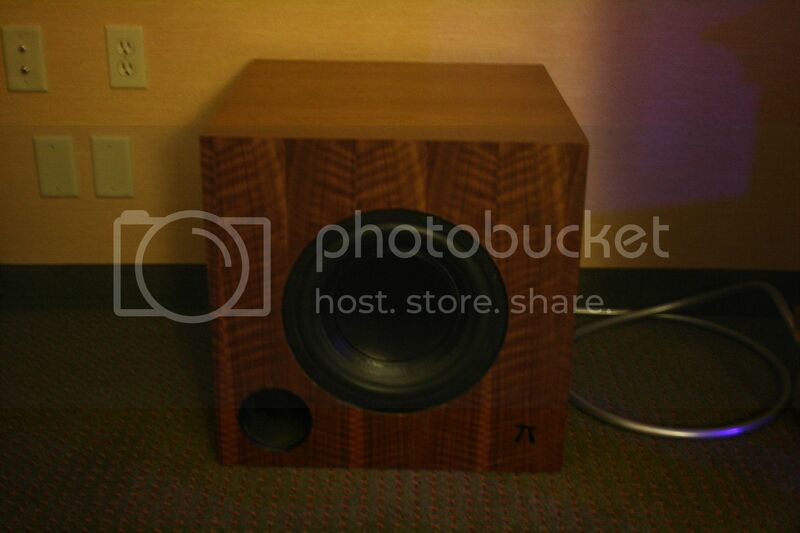 The Super-7s are a nice looking speaker in an open-baffle design. The finish has some flexibility as many shades of automotive finish can be requested. I especially liked the contouring on the sides of the cabinets. 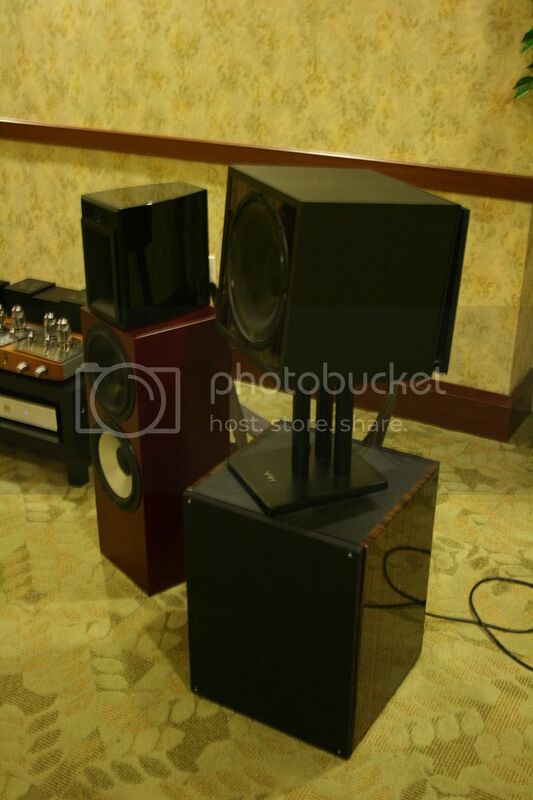 They imaged beautifully with a very deep soundstage. Instruments separated extremely well with the vocalist locked in the center. Off axis, there was no noticeable sound degradation with just a slight shift of the vocalist's imaging position. This system had no issue filling a room this size. 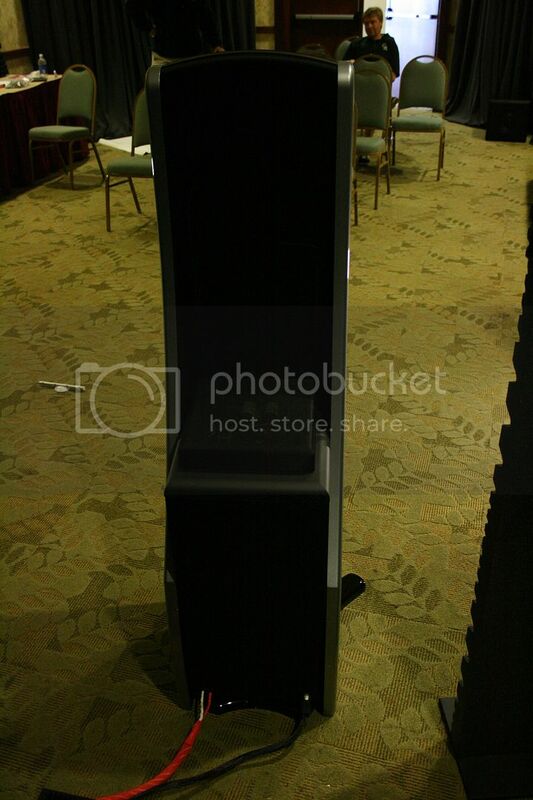 Vocals were excellent - there was one track with a male / female duet that really showed off the dynamic range of these speakers while maintaining excellent clarity. Sibilants were not pronounced at all - they just blended really well with the rest of the vocals. The Kelly Sweet "Dream On" track portrayed the high end capability of these speakers really well - it was really smooth with no shrillness at all. Instruments were very detailed - the strike of the cymbols and resulting splash were crystal clear as was the piano. When the "Keith Don't Go" track came on, you could hear the pick of the guitar - heady stuff! Midranges were spot on - very nice punch and so clean. Perhaps one of the most impressive things about these was the low end - you could feel the impact in the floor which is amazing considering the amount of concrete that is likely there. It was clean too - you could hear the strike of the kick drum. In conclusion, if I owned these I would indeed be a happy man - they do everything well and really shine in the areas most important to me. 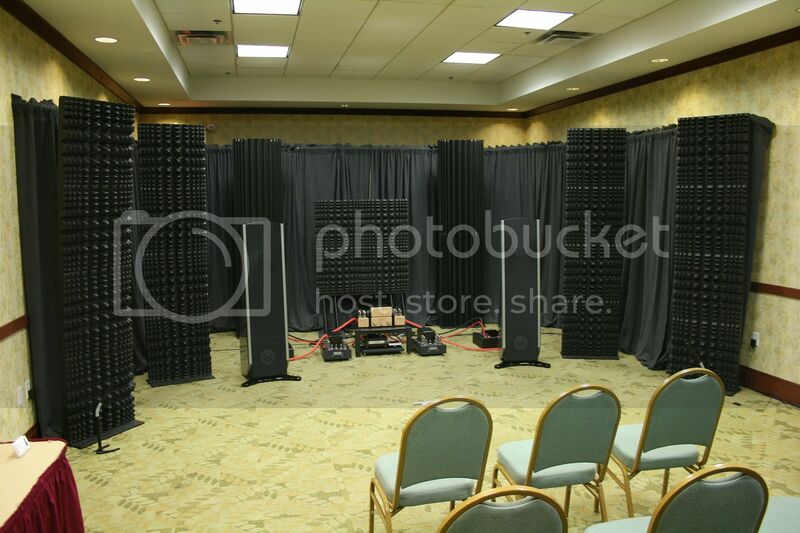 Diffusers were used around the room. An added bonus for me personally - I spent a couple hours just sitting and listening to music with Danny on Friday night and came away with a number of artists which I will be adding to my own library. Thanks Danny! One of the neat things about LSAF is the ability of anyone to display their system - including the enthusiast that just wants to show his own personal system. Brad's House of Tunes room was exactly that - he had brought a cooler and was just hanging out playing some music. The Golden Ear Aon 3 monitors have a stated FR of 38 Hz - 35 kHz with a sensitivity of 90 db and nominal impedance of 8 ohms. They weigh in at about 15 lbs each. 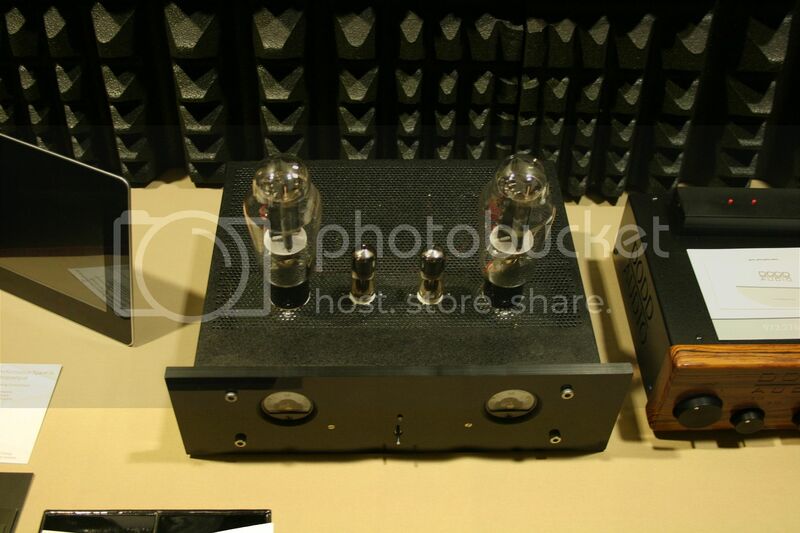 The Scott tube amp was originally built in 1961 and delivers 18 WPC pentode. It was really awesome just sitting and chatting with Brad for a bit about music - we both wish Bon Scott had stuck around a bit longer! - and I picked up a couple new artists for my collection here as well. The Golden Ear Aon 3s are one of those monitors I enjoy - a monitor with big sound. Aesthetically, they are average in appearance - the only thing that stuck out for me was the shape as they slightly reminded me of one of the builds I have seen in our DIY forum which I believe are termed the "Monkey Coffins". 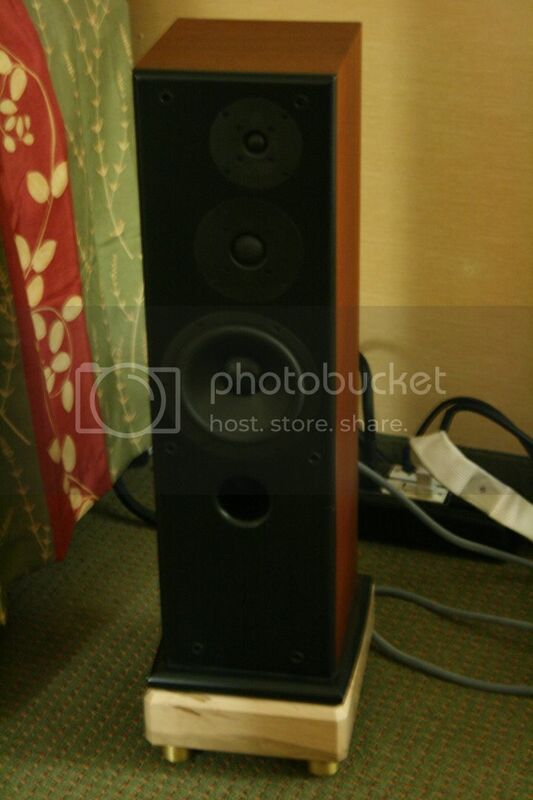 As far as the sound, they were a solid monitor but nothing really stuck out for me. 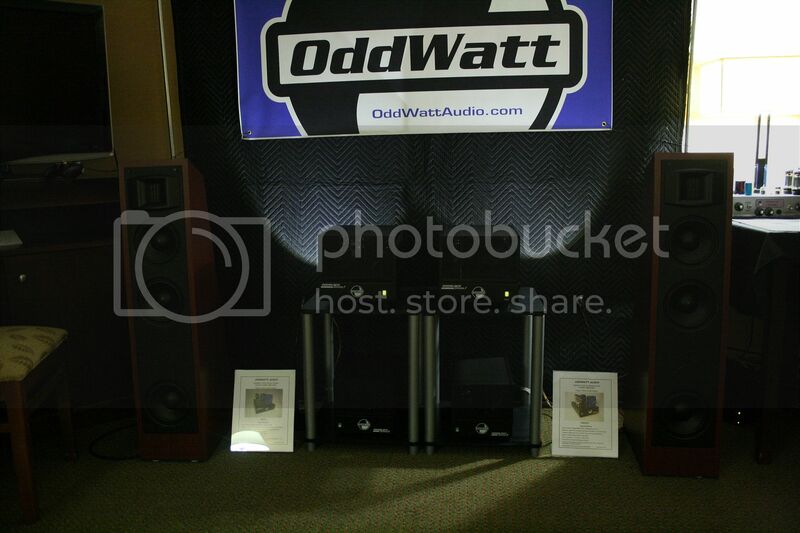 OddWatt Audio was the first visit on Saturday morning. 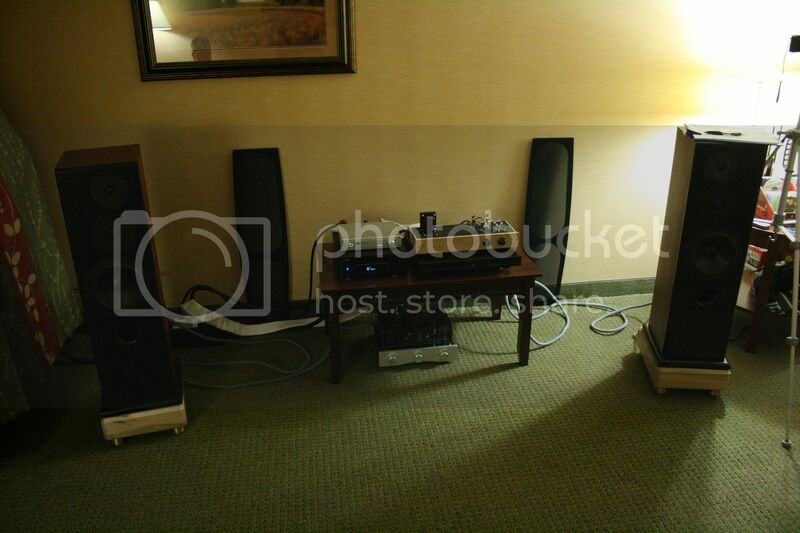 They had a set of Martin Logan Prefaces set up, but (teaser incoming! ) that was not the intriguing part. OddWatt is a company run by a couple of guys - Bruce and Rodney - who are just a couple of DIYers at heart. 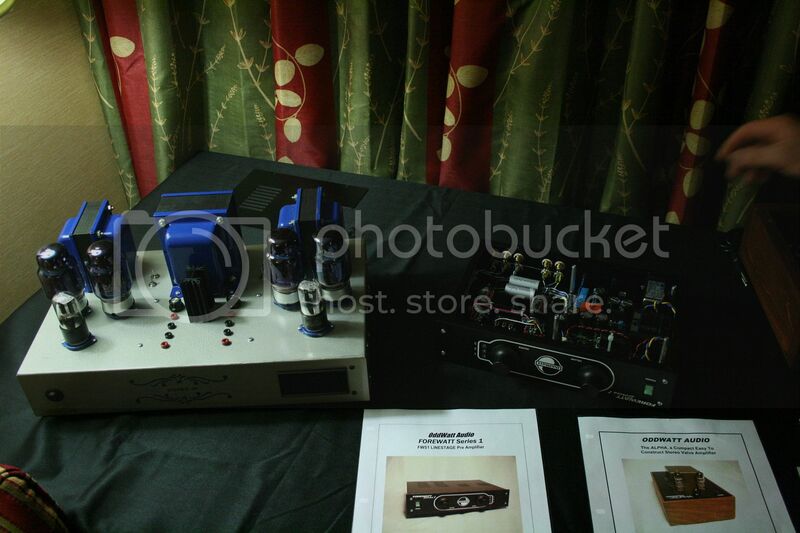 Their product line features several kits for building your own tube amps. 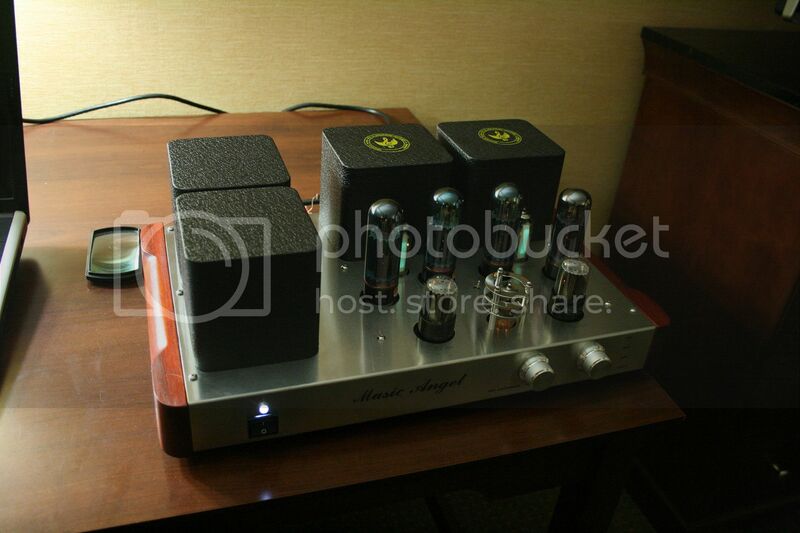 The OddWatt monoblocks which were in use are Class A and provide an astounding 45W. They use tubes made by Sylvania in 1944. The OddWatt monoblocks have a very industrial appearance which I think allows them to blend in really well with your system. However, the best thing about all the OddWatt products are that they provide the kit for you to build it yourself! 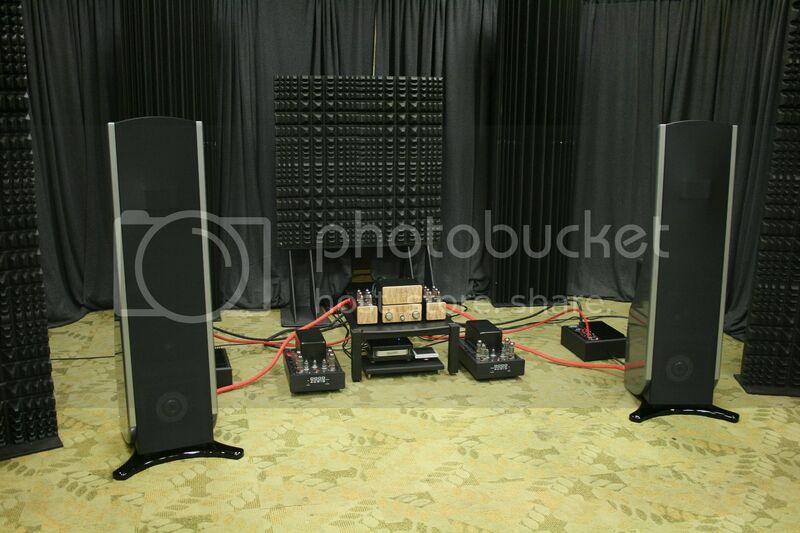 For the individual looking to build a two channel system, I think the OddWatt monoblocks provide a great start. As a matter of fact. Wayne Parham was using them to drive his room. Saturday morning took us into the Departure Audio room. If you look closely, you can see Sonnie's reflection in the picture on the wall! 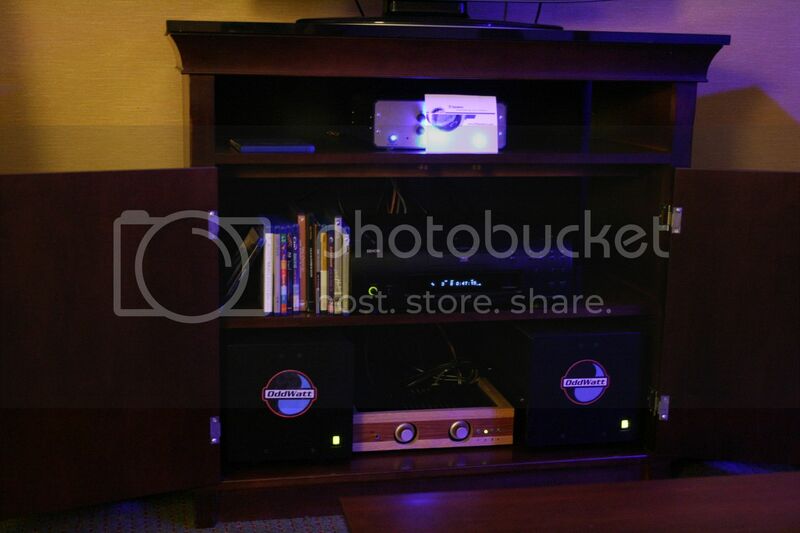 Departure Audio is a Texas-based company that provides expert advice for procuring and configuring individual components and full systems for music lovers. 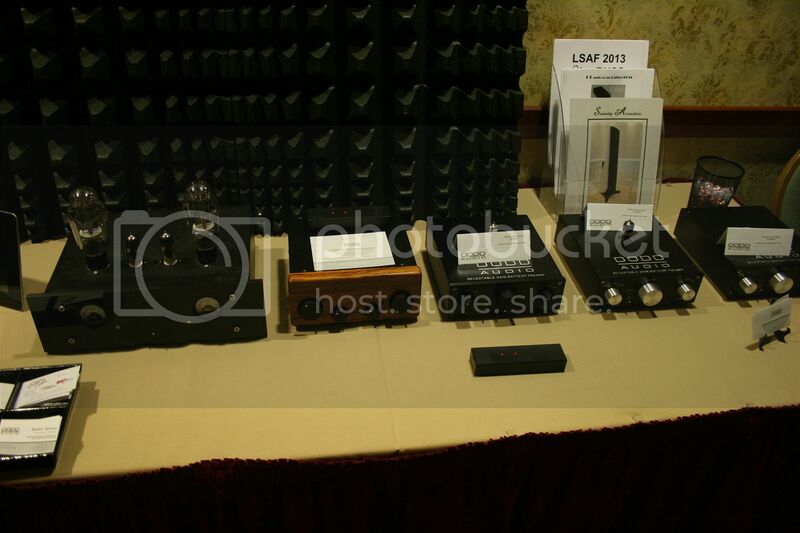 The loudspeakers shown are the Chromas from Green Mountain Audio which appear to be a new offering so there were no specifications available although Julian did state that the monitors do go down to 47 Hz (+- 3db). For those that have been reading my reviews for shows, you know how much I appreciate monitors with big sound. The Chromas fit that criteria well - if I closed my eyes to listen, I would have guessed these were towers. As far as aesthetics, this monitor caused me to think again of the "Monkey Coffins" built by one of our DIYers. The finish was OK, a deep black that would disappear easily in my opinion. The first track we listened to was an instrumental track. It sounded bright to me - the best way for me to explain it is to think what your car stereo would sound like if you turned the treble up - and I tend to prefer a more mellow sound. On a Tom Jones track, they showed good dynamic range and imaged well - Tom was locked dead center. However, the sweet spot was small as when I shifted one seat over, you could localize the speakers easily. Low end was very impressive for a monitor - great thwump and pretty clean. Both Friday and Saturday night we visited the Soundfield Audio room. 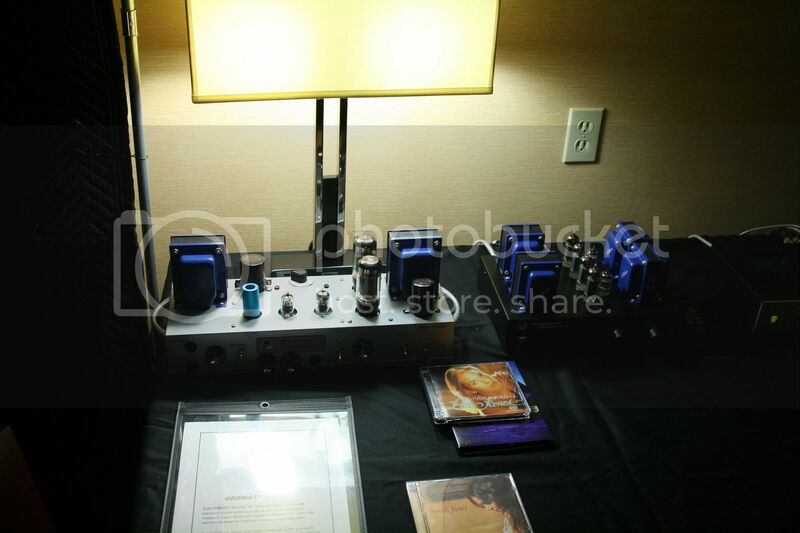 I had met AJ at Axpona and thoroughly enjoyed chatting with him again as we sat and talked about speaker design. AJ had two systems set up, but I only had an opportunity to hear one. The 1812s are packaged as a system using a 12" ring radiator compression driver, 6" rear wideband driver with shaped bipolar response in the top unit. 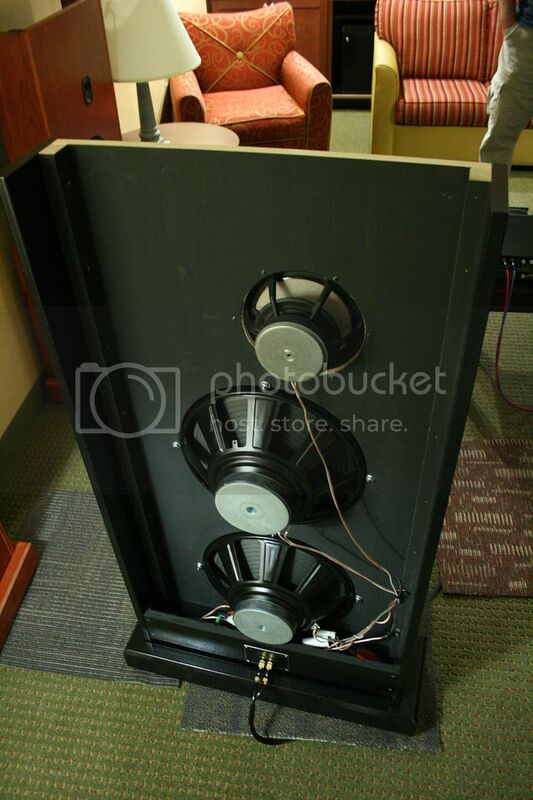 The base is an 18" active dipole subwoofer. The tentative MSRP for this system is $7,500. The VSFT2 uses a planar ribbon horn mid / tweeter, dome supertweeter, and two 10" woofers in an active cardioid bass enclosure. The MSRP for these (with the finish pictured above) is $3,000. There are currently no listed specifications. The 1812s are a prototype and the cabinet / finish design is not quite complete; however, AJ stated that the finish would be very flexible with potentially veneers, wood, and paint finish available. 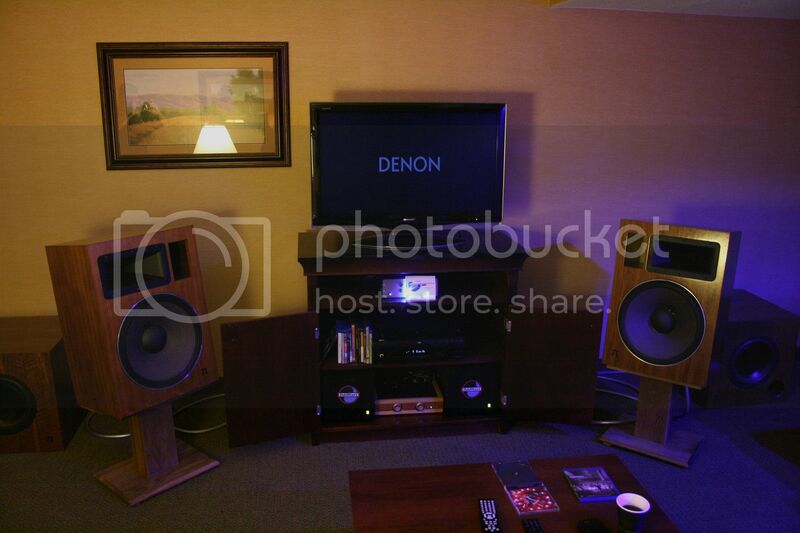 There is an outside chance these will be shown at the Capital AudioFest at the end of July. No room treatments were used in the room, and that was by design. 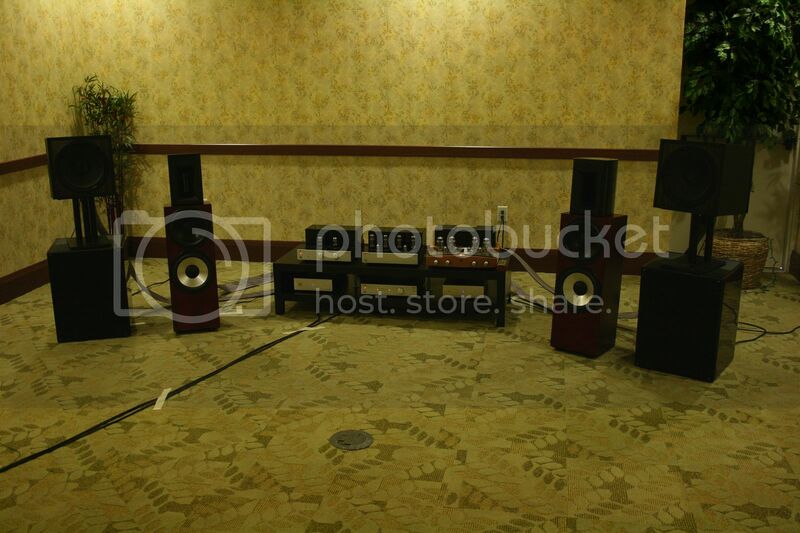 The speakers are designed to work in an average furnished room by using dipole-designed speakers and subs. As this is the second time I have heard a set of Soundfield Audio speakers, I must say I like how AJ's speakers always have big sound. The 1812s had no issues at all filling the room. The 1812s image incredibly well - they had a very deep soundstage with good separation of instruments while vocals were locked dead center. Then, AJ suggested we move around the room. And, it did not matter where you stood in the room; vocals were still locked DEAD CENTER. This is the first system I have encountered that has shown that capability - simply amazing. Low end had excellent impact and was clean. The midrange punch I covet was prevalent as well - and very crisp. Instruments were very detailed - I especially noticed the high hats on a couple tracks which gave goosebumps with a clean "ping" and splash. Vocals showed excellent dynamic range as well. All in all, a great listening experience. I am really looking forward to seeing and hearing the finished 1812s! 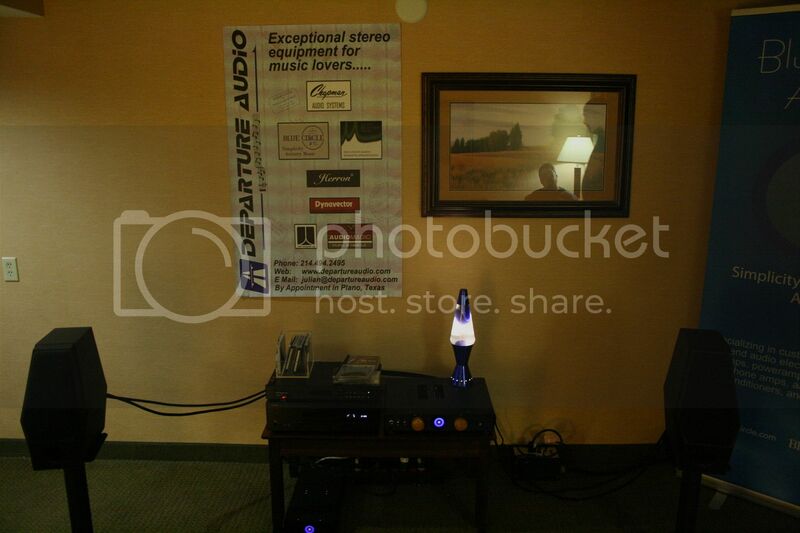 Next up - the Manzanita Audio Solutions, Inc. room which we visited Saturday. Manzanita Audio Solutions, Inc is a Texas-based company that offers several different open-baffle designs. The Ultra Plus! uses an 8" SEAS composite dual paper cone mid / tweeter driver and two 15" woofers with treated and ribbed paper cones. 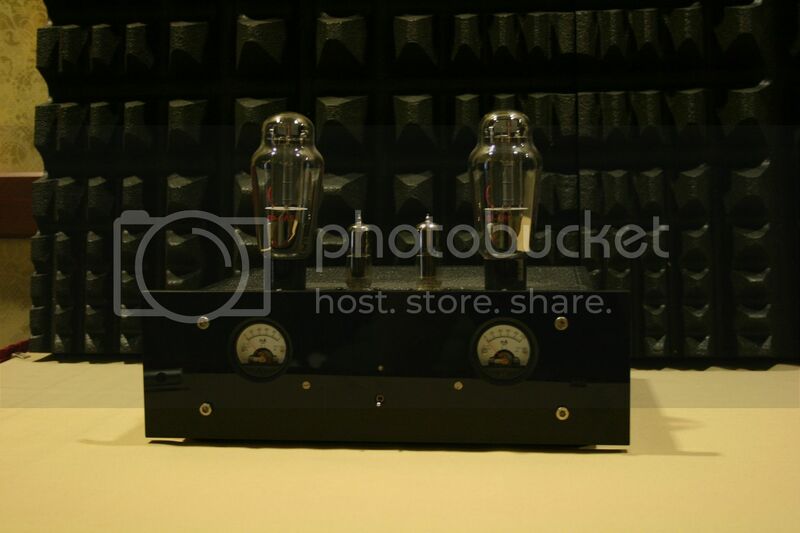 It has a stated FR of 27 Hz - 20 kHz with a sensitivity of 89 db (8 ohms nominal) and weighs in at 65 lbs. The mid / tweeter driver is crossed over at 350 Hz. The Ultra uses a 3.5" composite paper cone mid / tweeter driver and one 15" woofer with a treated and ribbed paper cone. 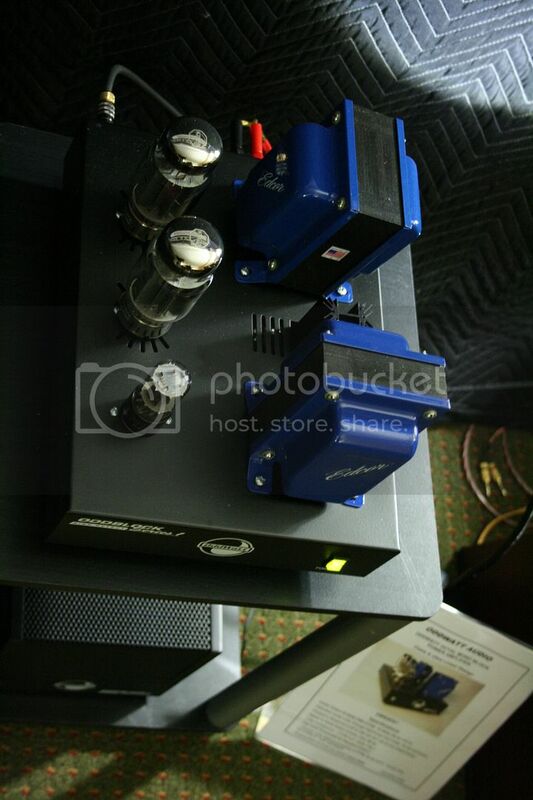 It has a stated FR of 27 Hz - 19 kHz (+- 4db) with a sensitivity of 85 db (8 ohms nominal) and weighs in at 52 lbs. 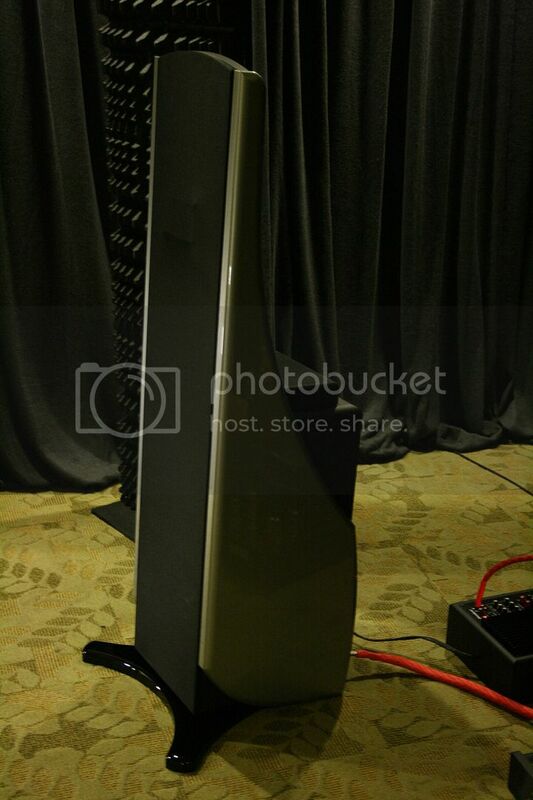 The shape of the speaker was pretty standard for an open-baffle design - a flat panel with the drivers showing in the back. As far as the finish, they are really flexible and can finish them to suit the customer's request. I thought the finish on the Ultra was very well done, and the finish on the Ultra Plus! showed nice contrast. They image well - instrument separation was noticeable and vocals were locked in the middle. Once I moved from the sweet spot (one seat over), I did notice it was easier to localize the speakers. 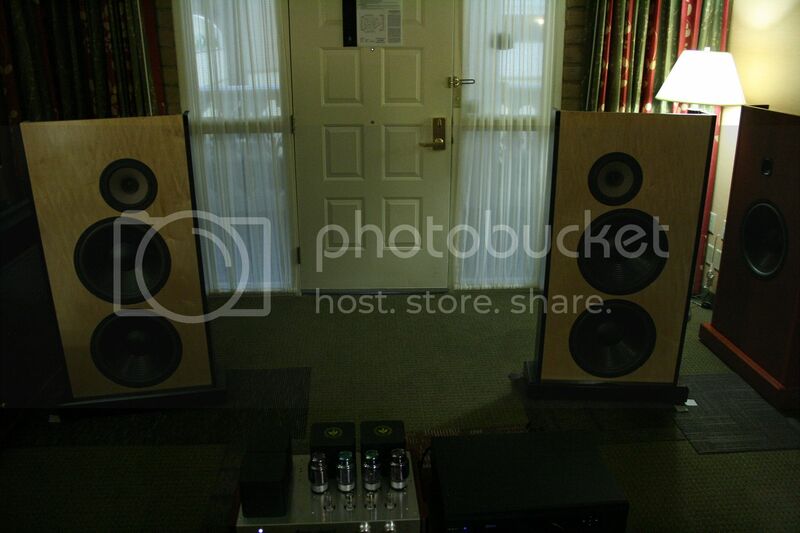 They do have a very open, airy sound as I would expect from an open-baffle design. The Ultra Plus! speakers were very detailed - piano and cymbols sounded very good - and vocalist's breath intakes were readily apparent. They also showed good dynamic range on female vocal tracks. Midrange was OK, but lacked the crisp punch I enjoy. 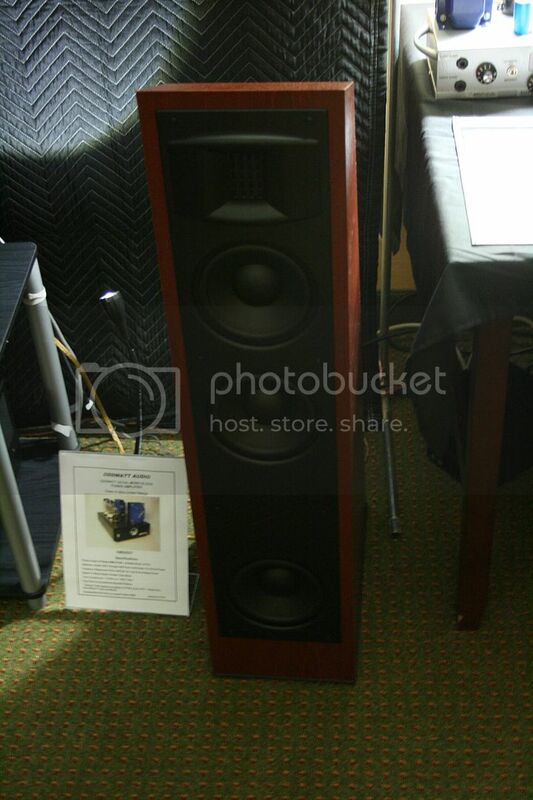 A solid speaker - but probably one I would not choose due to my impressions of the midrange. No treatment was used in this room. On to The Black Hole Audio / Video room which we also visited on Saturday. 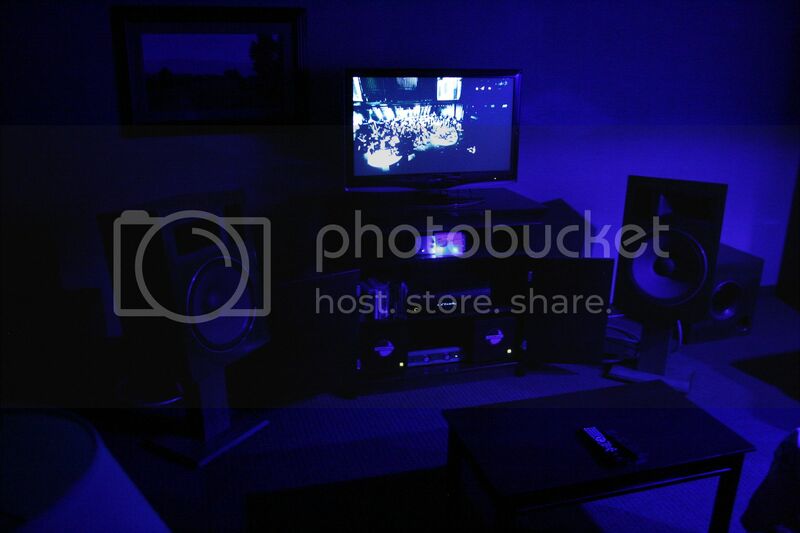 The Black Hole Audio / Video is owned and operated by two gentleman - Tony and Anis - who are members of the Houston Audio Society and provide HiFi and Home Theater consultancy. We sat and chatted with Tony and Anis for quite a while - as well as listened to some music! 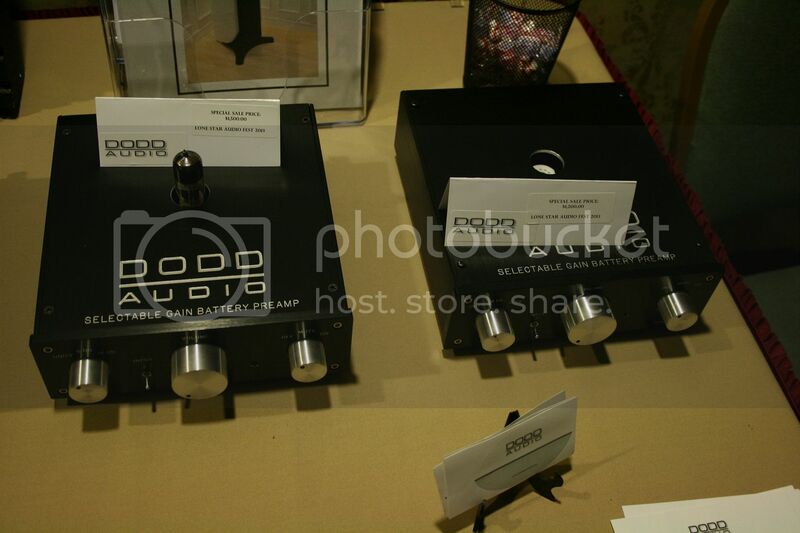 - and they are firm believers in putting together systems in which the components work together seamlessly - even if those components are not what "audiophiles" would consider high end. To them, it is all about the music. 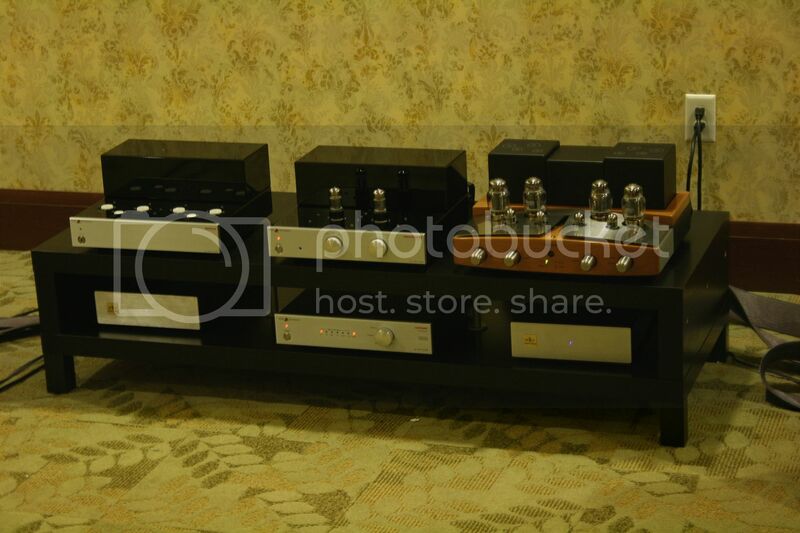 The Cayin A-50T integrated amp has a MSRP of $1,699 and uses EL34 tubes. The Audes Soul Loudspeaker has a stated FR of 38 Hz - 20 kHz (+- 2db) with a sensitivity of 88 db (8 ohm nominal) and weighs in at 88 lbs. The Audes Soul has the standard rectangle shape and came with a very clean veneer finish - other veneers as well as paint finishes are available. The first thing that struck me was how warm the sound was - just a smooth, mellow feel. They imaged really well with great instrument separation - horns and piano track showed excellent detail. 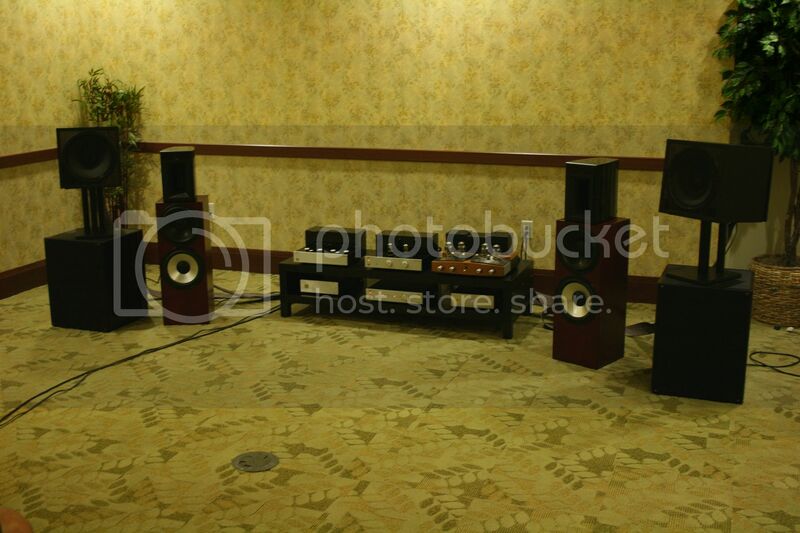 I was also really impressed with the low end for this system give only one 8" woofer - decent impact and pretty clean. Overall, it was such a deep, wide soundstage - very impressed with the system these guys put together. Well done! There was no room treatment in use. 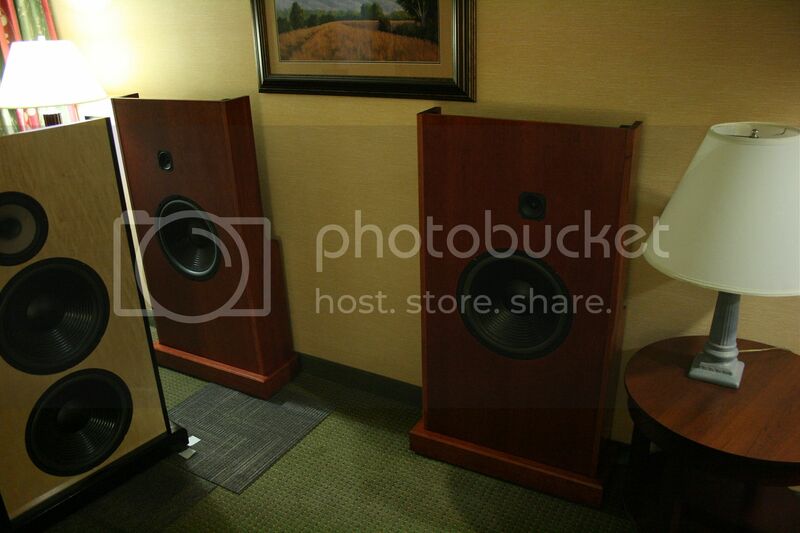 Next up - the Pi Speakers room. 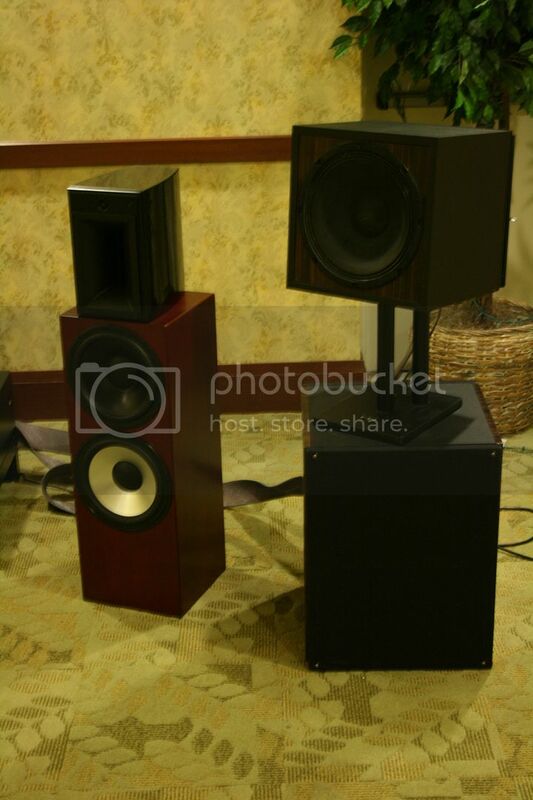 Pi speakers are made by Wayne Parham, who also organizes LSAF. 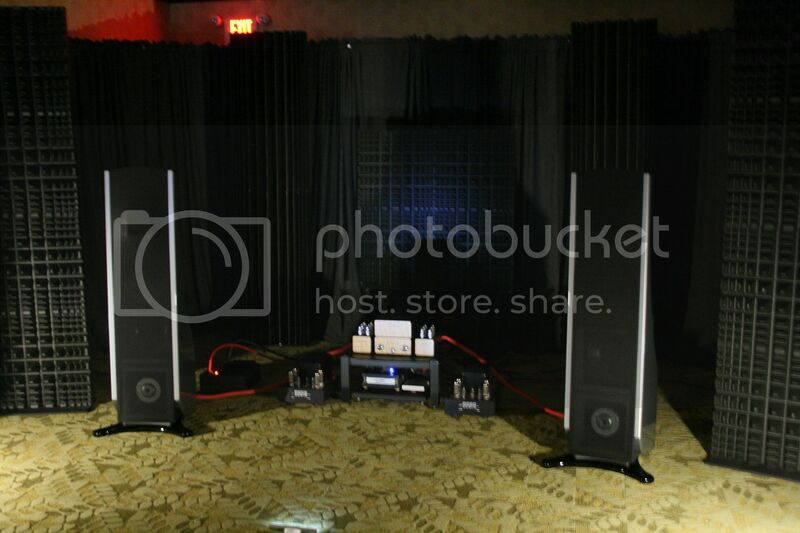 Pi Speakers is based in Oklahoma and offers various speakers and subs that can be sold in kit form or pre-built. 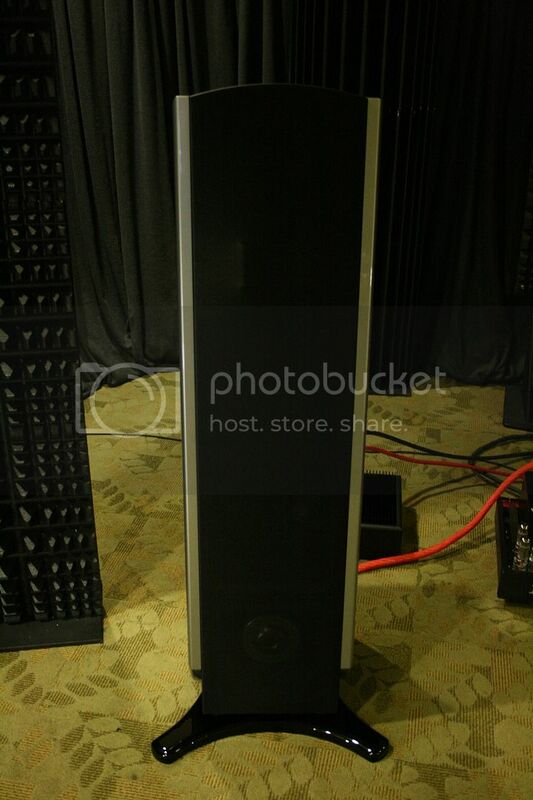 The Four Pi speakers are $1,000 each in pre-built form (as pictured above) and $400 each in kit form. 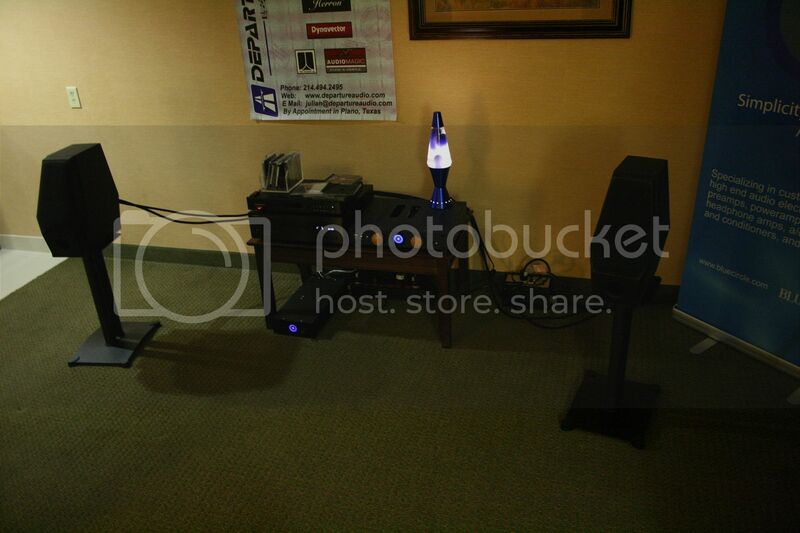 The Three Pi subs are $400 each in pre-built form (as pictured above) and $135 each in kit form. 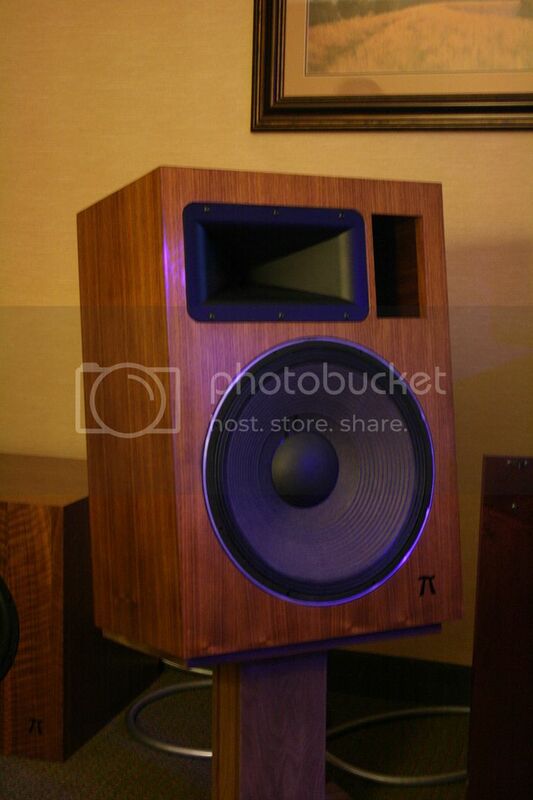 An interesting design as it looks like a cube - and having a 15" woofer staring you in the face is very imposing! I also liked the finish - it really set off the drivers well. They have a deep soundstage and image very well - they completely disappear which is shocking considering the size of the cabinets. One thing I did notice - they had a more laid-back sound than what I have heard from other horn speakers. We were listening to a Chris Botti live concert on blu-ray, and the sound just seemed a little subdued to me. However, once a CD was tossed in and the volume turned up a bit, these really started to shine. Strings had an open, airy sound and horns were very smooth - no top-end shrillness at all. Vocals were also much more dynamic. We spent a fair amount of time discussing what Wayne calls "flanking". This is where the subs are positioned next to the speakers to smooth the crossover point as well as tame room modes. It worked really well - I never really noticed the subs at all.